Just when you thought it was safe to go back into Uedama. Agents Jayson Kusion, Jeremiah Kusion, Joel Kusion, Jake Kusion, Justin Kusion, Jayden Kusion, Jackson Kusion, Joseph Kusion, Jason Kusion, Joshua Kusion, and Johnathan Kusion circled the Orca and tore it apart in a frenzy fueled by thirty days of unjustified bannage. supanover knew he wanted to lose an expensive Hulk, but he wasn't sure where to find blingy Hulk mods. No matter, Agents Votre Dieu and Narl' Amhar were going to kill him for illegal mining anyway. supanover's Hulk contained a pair of Skill Extractors. What a terrible fit. What, no PLEX? What if your subscription runs out in the middle of a mining op? siena murasame was more experienced than supanover; she knew how to make a mining ship properly decadent. Her 1.4 billion isk Mackinaw proved a juicy testing ground for an all-Atron gank fleet comprised of Agents Keraina Talie-Kuo, Krominal, Kibbera, Viktor Rahl, Hero D Man, Jay-r Maulerant, and Krandor Dermaezaf. I still think the 'Anguis' mods are missing an "h". But our misguided friend siena also brought along some outrageously expensive--and fragile--mining drones, one of which was still in the bay. It could've been worse, though. 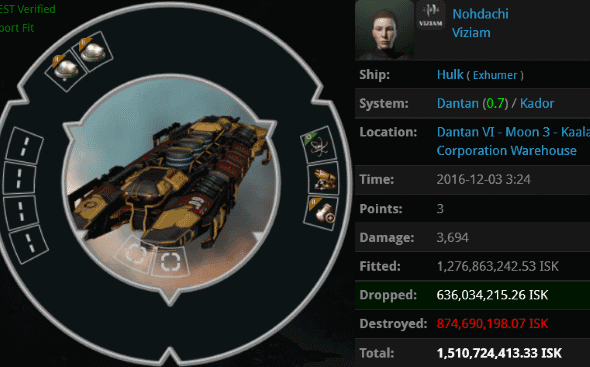 Yes, Nohdachi managed to lose a Hulk worth 1.5 billion isk. Just look at that fit. Don't look away--you need to see what's going on in highsec. Agents Viktor Rahl, Sco Nolander, Keraina Talie-Kuo, Krominal, Hero D Man, Krandor Dermaezaf, Jay-r Maulerant, and Kibbera returned to the Dantan system after killing that Mackinaw earlier. They noticed the system still needed a good scrubbing. Four Harvester Mining Drones were contained in the Hulk's Drone Bay at the time of its destruction. Something is rotten in Dantan. Hakki Mika took the "dog's breakfast" approach to her Occator fit. Needless to say, Agents Tax Collector Emile, Australian Excellence, Tax Collector Richard, Taxman Daniel, and Tax Collector Zakard weren't impressed. 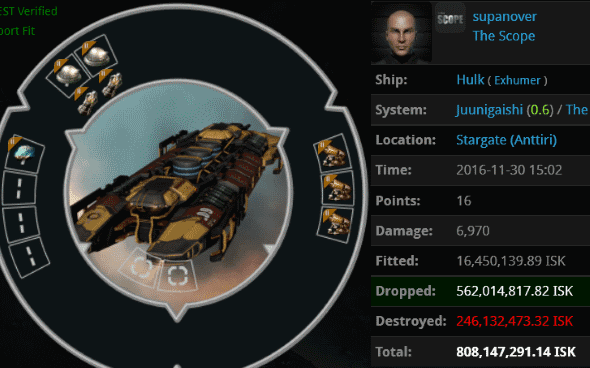 Carebears, if you're in highsec, failing to impress our Agents is a fatal mistake. 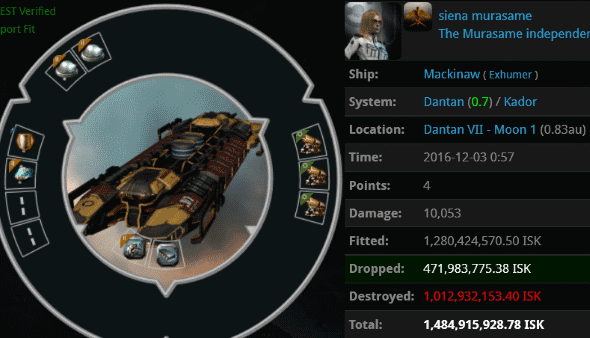 The Occator and the fleet it was carrying all went down in flames. 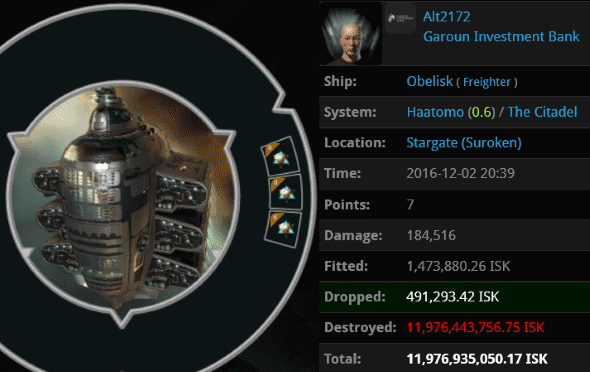 Alt2172's Obelisk trudged through highsec with some expensive cargo. 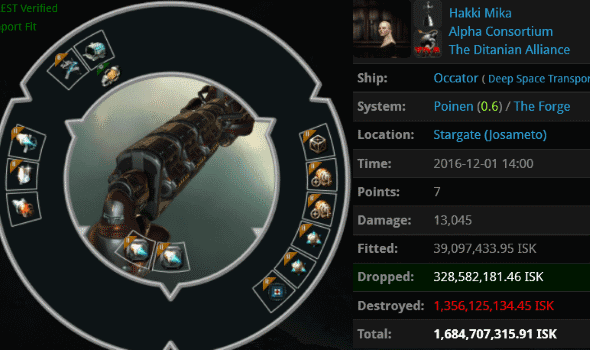 Weighing in at nearly 12 billion isk, it was bound to meet its fate sooner or later. Agents Eugenie Brazier, Bob Painter, Lawrence Lawton, Gea Stormbound, Pure Whyte, Yojiro, Darnoth, Liz Cadelanne, Unfit ForDoody, big brutor one, Another ShadeOf Whyte, ClearLove, Perlo Tissant, big brutor two, Inspector Implant, Mack Poddington, Skiff Poddington, Hulk Poddington, Vigilion Imagan, Yuliana Tang, Skeezy McSkeez, Urban Worrier, Grant Bant, and Sorg-frae carried out the execution in a calm and dignified manner. This is another one of those "Engineering Complex" thingamajigs. You know, highsec is a wonderful place. We celebrate highsec in all its vibrant diversity. But the Code does not tolerate unlicensed thingamajigs. Clear your tears from your eyes. You weren't banned this time. 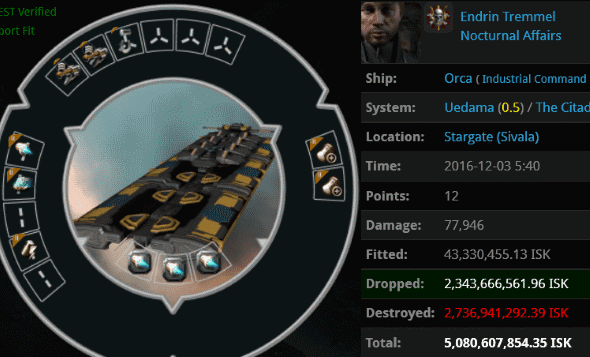 You didn't have to ask loyalanon for instructions on how to restart your life in EvE after a ban. That kid has lots of experience in failing hard everyday and getting banned over and over. So it's probably a good idea that you didn't ask for his advice, on any topic really. Anon236 needs to calm down. We know we're doing something right when guys like him come here to unload their salt. What a wonderful week! The unjustified bans are over and the carebears are providing plenty of content to farm. Echoed. Sparkling return for the Kusion family, and Christmas has come early for the carebears, judging by how many gifts (in the form of lessons) we've been handing out! There is a interesting http://awriter.org/affordablepapers-com-review/ story you have shared lot of work and get the best chance for the making in there same life student helping for us.